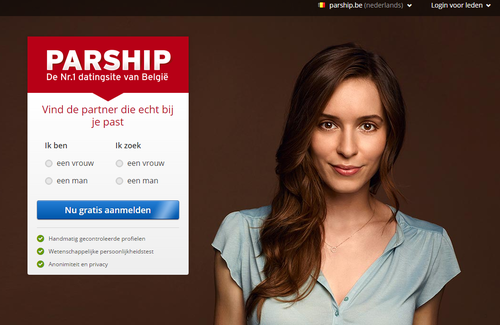 Belgium’s online dating scene reminds me a lot of the online dating scene in Switzerland. There are a lot of good sites out there with ample chances to meet your perfect match, especially if you live in one of the larger cities such as Brussels, Charleroi, Antwerp, or Ghent which have a larger pool of online daters to choose from compared to the more rural areas of the country. The best online dating sites in Belgium are full of members and have the latest and greatest features that you would expect from the best dating sites around the world. As I mention in my online dating e-book, should you decide to sign up for the online dating sites I recommend below, be sure to read member profiles carefully as you might come across a lot of fake profiles and women looking for “clients.” Usually, I can spot these profiles pretty easily. A woman who has only one picture posted, is wearing a tight bikini and making an overly suggestive pose are usually clear signals to steer clear. Another clue of a pretender is a woman who has a poorly written profile. As a general rule of thumb, the more boring the profile, the more boring the person. Without further ado, here is the quick list of the top three dating sites in Belgium. I’ll go into more detail in my reviews below. Elite Dating caters to smart, successful professionals in their 30s and 40s mostly, who may have avoided online dating in the past. As a dating site, Elite Dating prides itself on safety/security and the legitimacy of its members. All new members are vetted by an elite squad of professionals hired to check for potential scammers. True to its name, Elite Dating is a quality site, one that I enjoyed. The sign-up process is lengthy and detailed, which leads to highly compatible matches. But you’ll need to pay for the premium membership to do anything beyond creating a profile. Elite Dating’ sign-up process is a serious commitment. After entering your gender, desired gender in a partner, and email, you’re ushered through a long series of questions regarding your body type, match preferences, personality, personal traits, qualities your friends would choose for you, characteristics, etc. You also answer questions about feelings you’ve felt in recent months, what are important values/issues in relationship, your level of interest in a partner with various activities, what you’re interested in, passionate about, and thankful for, and (believe it or not!) even more. All-in-all, there are about 200 questions, and you have to complete the entire personality test before you can do anything else. It took me about 40 minutes to complete, though thankfully you are given the option of saving your answers and continuing later if necessary. Elite Dating puts your personality profile to work and uses algorithms to match you with around seven “Wildcard” matches every day. You can edit and refine your matches further by age, body type, distance to you, etc. Elite Dating limits your browsing to these few daily matches (more if you’re a premium member). At times this matching system was refreshing, in that it took away the stress and time of scrolling through pages and pages of profiles, hoping to find a good match. At other times, however, it felt inhibiting. This in itself was a sign of Elite Dating’ quality though…their matches for me were so good I wanted to see more! As a free member, you can send smiles and five questions, a nice feature which helps you open conversations with stimulating dialogue. You choose these five questions from a long list of options, allowing you personalize these messages to different users based on their personality. What makes Elite Dating stand out is its commitment to its name. Right from the get go, with the lengthy, detailed personality test required to sign up, it’s clear that this site takes itself seriously and requires its members to do so as well. I’ve experimented with my fair share of personality tests, and Elite Dating’s test is comprehensive and well-targeted. I quite enjoyed reading through my personality profile, which includes an in-depth Personality Dimension Analysis, comparing your levels of Conscientiousness, Agreeableness, Openness, Extraversion, Neuroticism to the average of other members. Free – Create a profile, take personality test, add photos. Premium – View, match with, and message other profiles, “Read” receipts on your messages, view your personality profile, see 20 extra Wildcard matches a day. Meetic.be is based out of Boulogne-Billancourt, Belgium and has been around since 2001. Of all the dating sites in Belgium, I think this one’s the second best. From its meager beginnings, Meetic.be has continually grown until it is now the most expansive online dating site in all of Europe. When you first go to sign up you’ll need to provide your gender, along with your match gender and your birthday. Once that’s done you’ll be asked to answer some questions about the type of personality you have, what you look like, the lifestyle you live and the criteria for your ideal match. While setting up your profile you’ll need to upload a photo and write a brief paragraph about yourself. Overall, this part only took me 10 to 15 minutes to get through. To actually complete everything on your profile, you will need to answer more questions about yourself. The site also allows you to create a little quiz that your visitors can take. You do this by selecting specific questions from a list they provide, or you can make up questions of your own. First, you have a choice of going with a Basic search or using the Advanced one. A Basic search consists of: it’s their birthday, born the same day I was, perfect matches, mutual matches and reverse matches. With an Advanced search, you can customize it to suit your wants with filters that narrow the search for you. The filters consist of: member’s age, level of education, location, smoker or not, etc. One of my favorite features is #LoveYourImperfections tags, which you select when you sign up. You can save all these searches for later use for your convenience. Another feature I like is the Shuffle, which is like Tinder, in that you are randomly given profiles to view, and you either Like or Dislike them. When a mutual match is found, both parties get notified. There is also a feature that allows you to place profiles in your Favorites. At some point you’re going to find a match you like. When this happens, you are allowed to send a Flash, which is a way of flirting or winking at someone. Unfortunately, you won’t be allowed to contact them directly unless you upgrade your membership to Premium. Once upgraded, you’ll see that the features set up to communicate with other members are quite basic. If members are online at the same time, you can send text messages and have IM chats with one another. Their blog called Mag – This is jam-packed with articles offering tips on relationships, online dating, dating in general and a whole lot more. Great Customer Support – Allows members to phone their hotline and actually speak to a live person in real-time. I found this to be incredible, which makes it worthwhile to upgrade to a Premium membership just to have this available. Parship.be is part of the Parship.com family of sites, which were launched in 2001 in Germany, and then expanded worldwide in 2002. This dating site has a solid matching system, so it would appeal to singles that are seriously on the lookout for a life partner. When signing up, you are required to take a comprehensive personality test. These answers are used to find you the best matches. Although some may be put off by the amount of time it takes to complete this test, I actually like taking personality tests. If you’re single and live in Belgium, I definitely think you should consider joining Parship.be, especially if you’re serious about finding a serious relationship. You’re going to need to fill in basic information, including your gender, the gender of your ideal match, your email address and a password. Once this is done, you’re going to be asked to complete the PARSHIP Principle, a scientifically done questionnaire, which can take you anywhere from 20 to 60 minutes to fill out. This all depends on how much insight you have about yourself and how quickly you run through personality tests. The test is comprised of mostly multiple-choice questions, however it does have some more abstract features, like asking which you prefer between two abstract-looking images or selecting a title to fit a dream image. Aside from gaining a lot of information on members, the Parship sign up process serves to weed out the people who aren’t really serious about meeting people or dating. By the time you finish the test, you’re still not done setting up your profile. You’re only 35% there! What’s different about Parship.be compared to other dating sites is that there is no obvious search feature. You can certainly see which members are online or who recently logged in, but the main purpose of the site is its partner recommendations. Your test results will be compared with those of other matches, and a compatibility score will be generated for each profile. The score has to do with the number of “Matching Points” there are between you and your partner recommendation. The highest match I had with someone recommended to me was 104. As you start browsing the profiles of the different matches, it soon becomes apparent that they only let you see blurry photos at the start. Users must explicitly grant access so others can see their photos, or they must upgrade to a Premium membership to see photos publicly. Parship also doesn’t allow users to see people’s names right away, only their occupation (e.g. Police Officer, Advertising Copywriter, etc. ), although you are allowed to keep notes or give nicknames to profiles to help you sort out the differences. Until you complete at least half of your profile (50%), you will not be allowed to reach out and contact others on the site. Once you’re half done, you can add profiles to your Favorites, allow them access to your photos, and/or Compliment someone via a tiny thumbs up, an “Icebreaker” message that asks them to answer a few multiple-choice questions, a Smile, or via text message. Besides these basic ways of contacting others, you will communicate quite a bit through your profile to others who visit you without saying a thing since the site’s profile compatibility reports contain so many details. A lot of different dating sites have matching systems, but Parship’s stands out among all the rest. This compatibility test is backed up by 40 years of scientific research and was developed by a Psychology professor at Hamburg University. When you become a Premium member you will gain access to your test results, which is made up of a full psychological assessment 40 pages long.